Brief Description: Learn how to edit and add fun extras to your favorite digital photos using Photoshop.com’s free online software. Cost: $0 -50; Optional $$ 5-100 if flashdrives are chosen to be purchased. Optional: We asked participants to bring flashdrives with photos they wished to edit loaded on them. In case participants forget to bring their own photos, you can take a selection of digital photos for participants to use and load them onto the computers or onto flashdrives. Guide participants to Photoshop.com, select Photoshop Express Editor from the “Tool” option on the menu. Walk participants through uploading a photo. Using the tools in the Edit Menu, explaining the editing options in the Basic category. Still in the Edit menu, explain the editing options in the Adjustments category. Still in the Edit menu, explain the editing options in the Effects category. Move to the Decorate menu. Explain the editing options in the Graphics category. Guide participants into saving their photos on their flashdrives or in the appropriate folder on the computer. During the last 15 minutes of class, allow free time to play in Photoshop.com, and offer a show and tell portion to show off edited photos. Photoshop.com is very user-friendly and intuitive to use. 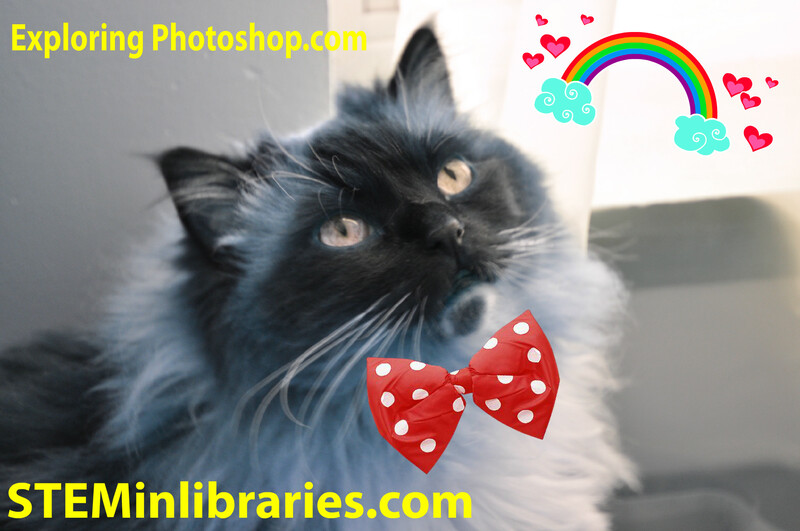 When teaching children how to use the free, online Photoshop.com Express Editor, explain each editing option and allow them a few minutes to try it out on their own photos. For an explanation of what each editing option is in Photoshop.com, hover over the option, or refer to our handout. This program runs smoothly as planned. We strongly advise having a selection of digital photos available for participants to use. We’ve found that people forget to bring their own photos, or their photos are unable to be accessed on their flashdrives, or the files are too large. Having a selection of photos available to use is extremely helpful. This program works well for both tweens and teens. Parents are also interested in using the tool, so an adult program is a possibility, as well.